Home / Editor's Choice, Entertainment News, Featured Articles, Gossip and Drama / This is how ECHESA used to behave in the village after he was appointed Cabinet Minister, Eh! Eh! This is how ECHESA used to behave in the village after he was appointed Cabinet Minister, Eh! Eh! 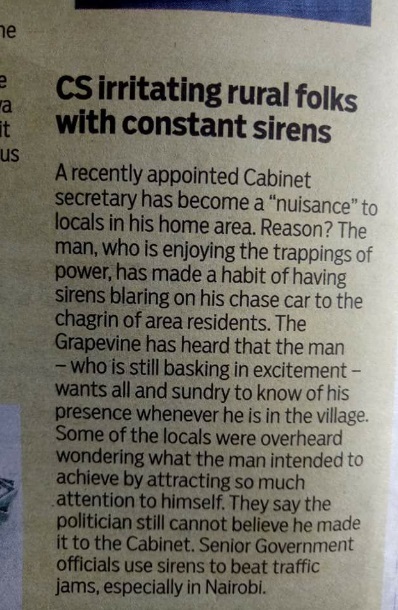 Monday, April 15, 2019 - This is an article in Standard Newspaper’s Gravepine section revealing how disgraced former Sports Cabinet Secretary Rashid Echesa used to behave when he was appointed a Minister. 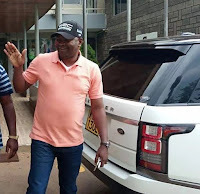 The juicy scoop that was published early last year after Echesa landed the lucrative job will definitely make your day now that he has been sacked and reduced to nobody.